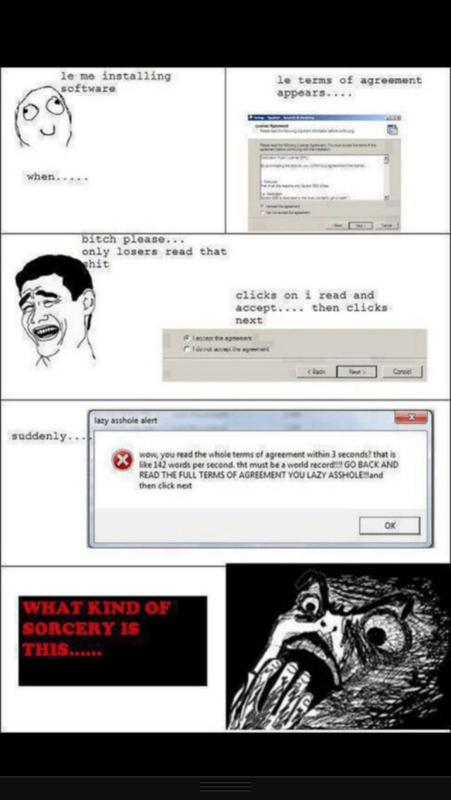 Ever actually read the End User License Agreement? I am not sure anyone that truly reads its. I like the jokes where you agree to give up your first born child and random items. Silly. I have always wanted to write my own and include some of the most asinine things just to see if I get any feedback from that one guy that actually reads them.